What a year it was for our webinar series! At the beginning of the year we promised to bring you 62 genealogy webinars. We miscalculated. We brought you 97 of them. 97 new ways to find your family history at FamilyTreeWebinars.com. We compiled the top 10 most-watched webinar recordings for you below. Is your favorite among the top 10 in 2015? 9. Thinking about Becoming a Board-certified Genealogist? 7. Thinking about Becoming an Accredited Genealogist? 8. What's New in Legacy Family Tree 8? Our Legacy Family Tree Webinar Series, one of the hottest things in genealogy, just got even better. Hard to believe, especially since we just announced our amazing 2016 lineup with 62 new live webinars to choose from! We have now added the ability to register for multiple webinars at once. Just fill out your registration information once (name, email, location), add a check mark next to each live webinar you wish to attend, and click the Register button. Done. And if that's still too many clicks, just check the very top box and we'll automatically add the check marks for you! Registration for all 62 live webinars in 2016 is now open. You can also check to see which live webinars you have already registered for. Just click the Have I Already Registered? link in the upper right and sign in (it's a perk for webinar subscribers). The green check marks will appear for those that you have signed up for. With all of these membership benefits, what are you waiting for? 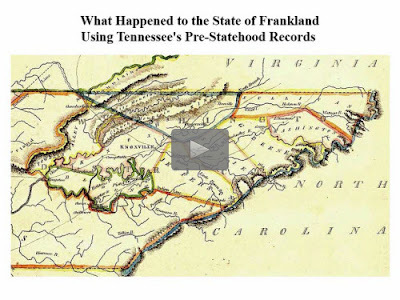 The recording of today's webinar, "What Happened to the State of Frankland - Using Tennessee's Pre-Statehood Records" by Mark Lowe is now available to view for free for a limited time at www.FamilyTreeWebinars.com. Learn about the records (North Carolina & Tennessee) that exist for genealogists researching pre-statehood Tennessee (before 1796). Record types, finding aids, locations, and examples will be discussed and presented. If you could not make it to the live event or just want to watch it again, the 1 hour 45 minute recording of "What Happened to the State of Frankland - Using Tennessee's Pre-Statehood Records" PLUS the after-party is now available to view in our webinar library for free for a limited time. Or watch it at your convenience with an annual or monthly webinar membership. Through December 31, 2015, take $10 off any new Legacy Family Tree software. Plus discounts on Legacy QuickGuides, add-on software, how-to books and more have been discounted. No coupon required. Only at www.LegacyFamilyTreeStore.com. Looking to find those elusive Volunteer State ancestors? The Tennessee Genealogy Legacy QuickGuide™ contains useful information including a timeline of Tennessee history events, tips on Tennessee research strategy, outline of major immigrant groups, and more. Also included are links to websites and resources covering vital records, church records, census records, as well as general Tennessee resources. This handy 8-page PDF guide can be used on your computer or mobile device for anytime access. Tennessee derives its name from the Yuchi Indian word “Tana-see”, meaning “The Meeting Place.” After reaching a population of over 60,000, Tennessee became a state on June 1, 1796. Some settlers moved on to Arkansas, Missouri, Texas and Oklahoma, while others remained to help the state become what it is today. Tap Into Your Inner Private Eye - 9 Strategies for Finding Living Relatives by Lisa Louise Cooke. January 6. Technology and Techniques for Differentiating Two People with the Same Name by Geoff Rasmussen. January 13. Snagit Software for Genealogists by Michael Brophy. January 15. The Basics of Virginia Research by Shannon Combs-Bennett. January 20. The Paper-Less Genealogist by Denise May Levenick. January 27. 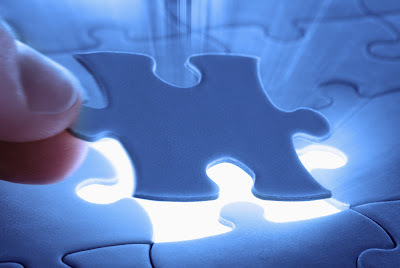 7 Unique Technologies for Genealogy Discoveries at MyHeritage by Mike Mansfield. 1/29. In our last live webinar of 2015, Mark Lowe will teach us about something that even here in America, little of us know anything about - the state of Frankland. You will learn about the records (North Carolina & Tennessee) that exist for genealogists researching pre-statehood Tennessee (before 1796). Record types, finding aids, locations, and examples will be discussed and presented. Join us and Certified Genealogist, Mark Lowe, for the live webinar Friday, December 18, 2015 at 2pm Eastern U.S. Register today to reserve your virtual seat. Registration is free but space is limited to the first 1,000 people to join that day. Before joining, please visit www.java.com to ensure you have the latest version of Java which our webinar software requires. When you join, if you receive a message that the webinar is full, you know we've reached the 1,000 limit, so we invite you to view the recording which should be published to the webinar archives within an hour or two of the event's conclusion. Lowe also serves as the Course Coordinator for ‘Research in the South’ at IGHR (Samford University), for the Salt Lake Institute of Genealogy (SLIG) and is Director of the Regional In-depth Genealogical Studies Alliance (RIGS Alliance), learning sessions and hands-on research focusing on original documents and manuscripts at regional archives. Mark has worked on several genealogical television series includingAfrican American Lives 2, Who Do You Think You Are? and UnXplained Events. Mark has published in the Association of Professional Genealogists Quarterly (APGQ), National Genealogical Society Quarterly (NGSQ), the Genealogical Speakers’ Guild SPEAK!, The Longhunter (So. Ky. Genealogical Society), The Middle Tennessee Genealogical Society Quarterlyand other local society publications. His own publications include Robertson County Tennessee Marriage Book 2 1859-1873. He formerly was the President of the Association of Professional Genealogists (APG), President for the Federation of Genealogical Societies (FGS), and Vice President of the Genealogical Speakers Guild (GSG). He is the former President of the Southern Kentucky Genealogical Society. Mark is a Certified Genealogist and a Fellow of the Utah Genealogical Society, and was awarded the Graham T. Smallwood award by the Association of Professional Genealogists. The recording of today's webinar, "Pointing Fingers at Ancestors Siblings: Breaking Down Brick Walls with Collateral Research" by Marian Pierre-Louis is now available to view for free for a limited time at www.FamilyTreeWebinars.com. Your brick wall is giving you countless headaches and troubles. Perhaps it's time to take a fresh look at different people in your family tree. In this webinar we will talk about doing in-depth research on cousins and siblings in order to remove genealogy obstacles. If you could not make it to the live event or just want to watch it again, the 1 hour 57 minute recording of "Pointing Fingers at Ancestors Siblings: Breaking Down Brick Walls with Collateral Research" PLUS the after-party is now available to view in our webinar library for free for a limited time. Or watch it at your convenience with an annual or monthly webinar membership. Seemingly complex problems can often be best solved if we break down these problems into smaller components. Whether you are new to genealogy, or have been researching for many years, try breaking down your problem into smaller steps and follow the easy back-to-basics Brick Wall Process. Ultimately, the secret to Unraveling Brick Wall Mysteries will rely upon the utilization of the three P’s: Process, Persistence and Patience. The Unraveling Brick Wall Mysteries Legacy QuickGuide™ contains useful information including an outline of effective strategy, tips and tricks and links to resources. This handy 4-page PDF guide can be used on your computer or mobile device for anytime access. What Happened to the State of Frankland - Using Tennessee's Pre-Statehood Records by Mark Lowe. December 18. Join us on Tuesday, January 12, at 8:00 PM Central, when Drew Smith, will present Organizing Your Genealogy Research Process. To attend this webinar, register at https://attendee.gotowebinar.com/register/8573458780274373378. Last week's webinar, The US Federal Census: Good, Bad and Ugly for Genealogists, presented by Gary Smith, is now available to ISGS members in the Members Section of the ISGS website (http://ilgensoc.org/members.php). Your brick wall is giving you countless headaches and troubles. Perhaps it's time to take a fresh look at different people in your family tree. In this webinar we will talk about doing in-depth research on cousins and siblings in order to remove genealogy obstacles. This is the follow-up webinar to the infamous Brick Walls: Cracking the Case of Nathan Brown's Parents webinar. Join us and Marian Pierre-Louis for the live webinar Wednesday, December 16, 2015 at 2pm Eastern U.S. Register today to reserve your virtual seat. Registration is free but space is limited to the first 1,000 people to join that day. Before joining, please visit www.java.com to ensure you have the latest version of Java which our webinar software requires. When you join, if you receive a message that the webinar is full, you know we've reached the 1,000 limit, so we invite you to view the recording which should be published to the webinar archives within an hour or two of the event's conclusion.